Looking for your next challenge to go along with the new Fall season? Let me introduce you to Canyon&apos;s Rock Climbing in Frisco. 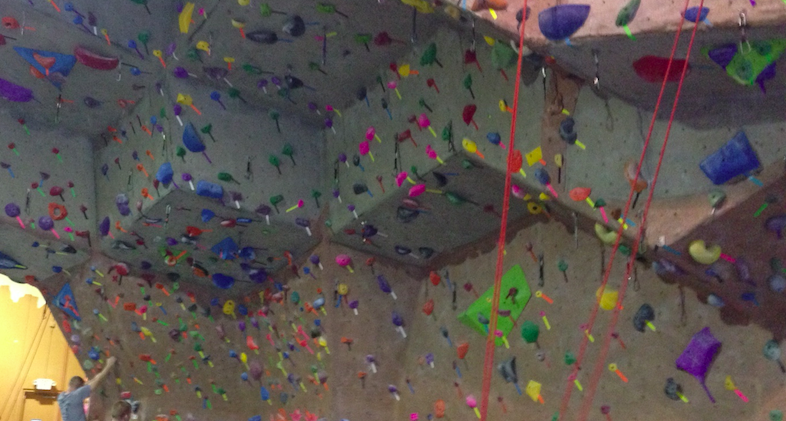 This indoor rock climbing gym has everything you need to physically and mentally climb to new heights. So how can a place and activity promise so much? Let me explain. First of all, I will tell you that this was much harder than I thought it would be. I like to consider myself somewhat fit (don&apos;t we all), but this really challenged me from every aspect. My arms were fatigued. I developed on unknown fear of heights about 6 feet off the ground (it felt like 60 feet, I swear). And on top of that, it&apos;s also like putting a puzzle together while you figure out where to best place your foot and how to best grasp the wall. So long story short, there was a lot of stuff going on all at once that I just didn&apos;t plan for. Here&apos;s the part that really sold me on the experience. I did it! There was such a sense of accomplishment and satisfaction that went along with climbing all the way up the wall, ringing the bell, and trusting my partner to help me repel down the wall safely. Pretty addicting actually! With each climb I figured it out a little bit more and climbed a little faster with more strategic moves. One of the crazy parts of my experience is by just being in that gym, you can always see the next level that is waiting for you to conquer like tougher climbs (apparently it&apos;s possible to climb upside-down) and bouldering (apparently it&apos;s possible to climb upside-down without a rope). I can imagine that with each new level you accomplish comes with a fabulous sense of satisfaction! Not only is does Canyon&apos;s Rock Climbing give you a great space for a new kind of work out, but it&apos;s a great place to take a friend! I went with a couple of girlfriends and we had a blast! Plus, Canyon&apos;s is right around the corner from Frisco Square so it&apos;s in a great spot to grab a meal afterwards to re-fuel.